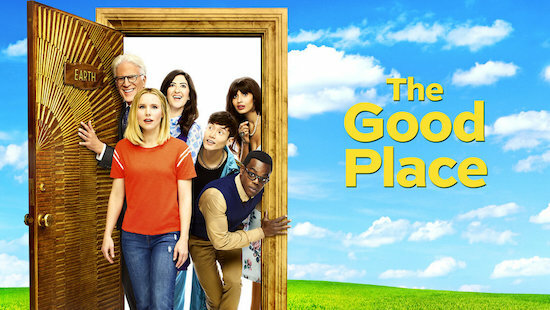 This is the Good Place: NBC has renewed the comedy for a fourth season. After more than seven months off the air, THE GOOD PLACE is back in just two weeks. The second season concluded with Michael (Ted Danson) successfully resetting time so Eleanor (Kristen Bell), Chidi (William Jackson Harper), Tahani (Jameela Jamil), and Jason (Manny Jacinto) could survive their respective deaths, and have a chance to change their lives back on Earth. But how did he make it happen? In the first few minutes of the special one-hour season premiere, Michael chats with The Doorman (Mike O’Malley), who gives him some very strict instructions. Plus, Michael discovers a mind-reeling location.